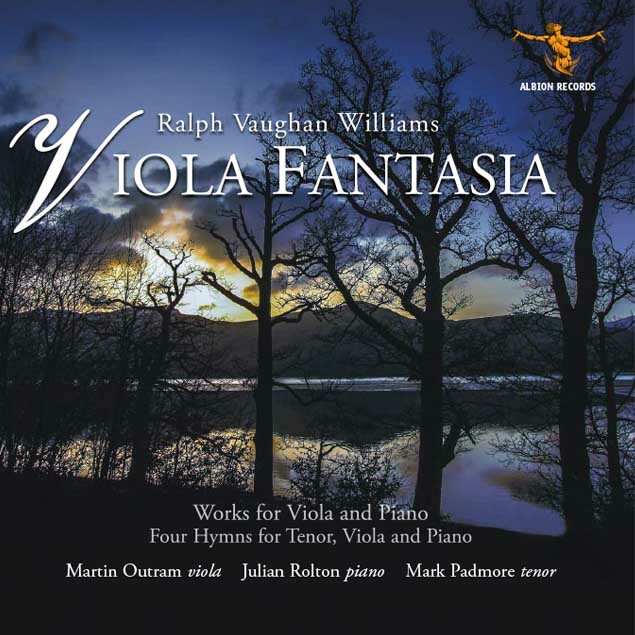 The Viola is associated with Vaughan Williams’s most romantic and impassioned music. His contemporary, the great viola virtuoso Lionel Tertis, was the inspiration for two of the works presented here. The Cello and Piano arrangement of the Fantasia on Sussex Folk Tunes. Martin Outram plays the viola with the internationally renowned Maggini Quartet. He has recorded over 50 discs and has received a Gramophone Award, the Diapason d’Or, a Cannes Classical Award, three Grammy nominations and the Royal Philharmonic Society Award for chamber music. Julian Rolton has worked as a pianist with the Calgary Philharmonic Orchestra in Canada, performed concertos by Britten, Shostakovich and Strauss in the South Bank Centre, London and Kagel’s Phantasiestϋcke with Martyn Brabbins and Sinfonia 21 at the Ars Musica Festival in Brussels. He was a member of the Chagall Trio which released an acclaimed première recording of works by Ethel Smyth on Meridian. Martin and Julian together have made recordings of works by Rawsthorne, Bliss and Arnold Bax, and a disc titled The English Viola. Mark Padmore has established an international career in opera, concert and recital. His appearances in Bach Passions have gained particular notice, especially his renowned performances as Evangelist in the St. Matthew and St. John Passions with the Berlin Philharmonic Orchestra and Sir Simon Rattle, staged by Peter Sellars. Mark was voted 2016 Vocalist of the Year by Musical America and was awarded an Honorary Doctorate by Kent University in 2014. He is Artistic Director of the St. Endellion Summer Music Festival in Cornwall.